Nokia and Microsoft began to prepare the public. Several months after the takeover by Microsoft, the era of smartphones in the Nokia Lumia brand ended. There are some days, Microsoft announced a November 11 event associated with this range of smartphones. In all likelihood, the group was preparing to present the first model in the Microsoft Lumia brand. 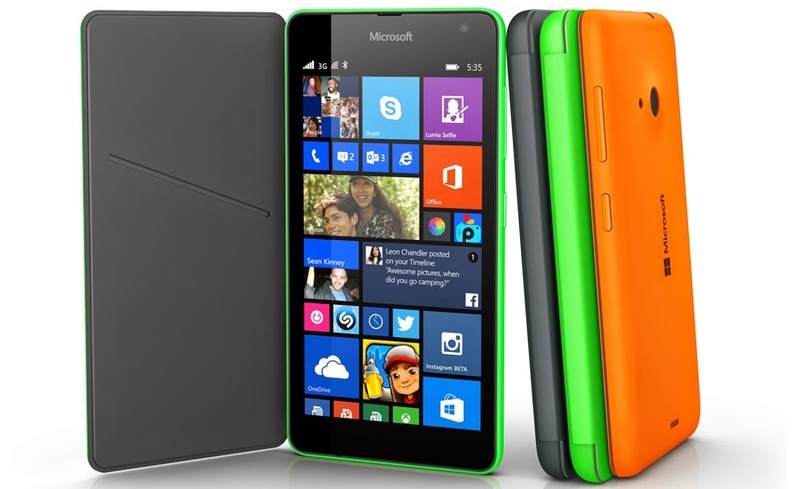 Microsoft has introduced the Lumia 535. This entry-level smartphone has a 5-inch screen resolution of 960 x 540 pixels with ambient light sensor and playback mode sunlight. Also, it has a quad-core Qualcomm Snapdragon 200 processor clocked at 1.2 GHz, RAM and 1GB storage space of 8 GB expandable via microSD up to 18 GB and 15 GB free accompanied on OneDrive. In addition, this smartphone is composed of a rear 5-megapixel camera sensor with LED flash and Lumia Camera, and also in front of 5-megapixel camera with fixed focus and wide angle, especially suited to selfies. Windows Phone 8.1 and Lumia Denim, this model is Bluetooth 4.0, WiFi and 3G compatible and available in single and dual SIM. Dimensions of 140.2 x 72.45 x 8.8 mm and weighs 146 grams, this smartphone will be available in white, black, gray, green, orange and cyan. It will be launched during this month for 137 dollars.